01/10/2018 Why should we consider the huge potentials of Africa for scattered hospitality development purposes? 31/03/2018 Campania Costa Castelli: which is the role played by the Albergo Diffuso in the achievement of your targets? Welcome to the International School Specializing in the Albergo Diffuso (SISAD) website, which is a brand promoted by Mr Maurizio Droli, Research fellow at University of Udine, Friuli Venezia Giulia Region, Italy. Since 2004, the SISAD has been created as required by the management units of the early alberghi diffusis (ADs). Since then it became the only school specialized in the so called "Albergo Diffuso" and "Spreaded Hospitality Industry" Effectiveness, Efficiency, Equity and Ecologic sustainability issues, constituting the "4E" development model" we devised in 2009 (to download this and other scientific publications see our short-list: link). 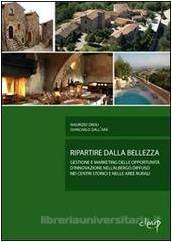 The Albergo Diffuso (litterally translated in "scattered hotel") is an original, "horizontal" hospitality model which is alternative respect those luxury-based (Ritz) and standard-based (Kemmons Wilson's Holyday Inn). We supply technical services focused on Research, Development and Training in collaboration with public research centres considering the AD is a Hospitality Model of Public Interest. 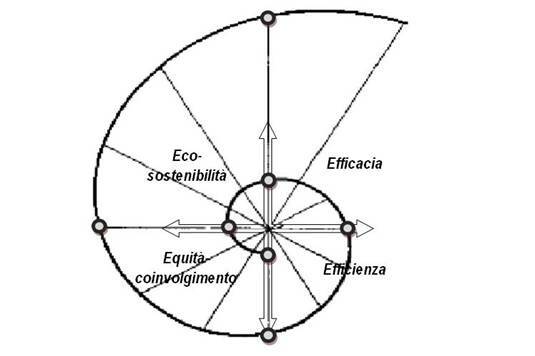 Since its early period, the "Albergo Diffuso" Hospitality Model, engineeerized by Mr Giancarlo dall'Ara (to go to his website click on this: link), has been described as both an "Hospitality Model" and a "Local Development Model". Unfortunately, only a few of the ADs operating in Italy and abroad in the last thirty years are achieving the needed results in each of the above mentioned 4E key-areas. The majority of them are struggling to compensate higher managerial costs compared to those of conventional (vertical) hotels. Moreover, the existence of fortunately a small part of them is depending on public-funding. Consequently, mainly due to a considerable lack of knowledge in this field and despite respecting the Dall'Ara's original Hospitality Model, many ADs do not represent a "Development Model", as well (for its general description see our webpage: link). So what? Following our approach, managing an original Hospitality Model as an AD requires developing a both original and theoretically rooted and thus "robust" managerial approach. That's often the main gate to achieve the needed market visibility, cash flows, REVPar, GOPPAR and ROI. Whitout doing so could bring management to make a lot of efforts to produce poor results or, differently said could require them "to ride a wonderful and appealing but squared weels bicycle". Some of the abstracts related to our main studies are available for download at the following "Academia.edu" scientific repository (link). Considering our theoretically rooted and easy but rigorous approach, this School is one of the main actors researching the Albergo Diffuso as a Development Model. Starting from its early researches in this field in 1996, since 2004 we partner with the "Innovation for Development And South-South cooperation" IDEASS network (to download the IDEASS brochure: link). In 2006, M. Droli co-founded the Associazione italiana Alberghi Diffusi (to go to the ADI's website: link). Since 2008 the SISAD partnered with the European Business incubators Network (EBN) and was promoted by the United Nations Development Programme (UNDP). To download the UNDP-EBN brochure: link. We believe that the needed increase in market visibility, cash flows, income opportunities for rural comunities and environment preservation initiatives depends on the way in which the AD's management, its staff, stakeholders, universities and coopetitors partner to harness potentials existing in both tangible and especiually intangible resources. For this purpose in the 1993-2007 period we self-financed studies to devise a specific resource-based methodology called "Partnering Turistico" (litterally translated in: "tourism partnering"). To download general info (italian) on at the national Tourtism Observatoriìy website: link). For the purpose to facilitate firm creation in this field, the SISAD has worked for 32 Public-Private Partnership in Italian regions including Friuli Venezia Giulia Region, (Trieste), Veneto Region, (Venezia), Valle d'Aosta (Aosta), Trentino Alto Adige (Trento), Lazio (Roma), Tuscany regions. Under the auspices of the European Commission (Europe-Aid Co-operation Office) started from 2004, we worked in emerging countries such as Panama, Costa Rica, Dominican Republic and Colombia. For other information let's stay in touch. Fight against poverty in the poorest countries. Sponsor a child with ActionAid! 24/04/2012 Here's the press release about the project "Albergo Diffuso and "Bici Diffusa (scattered Bicycle). 07/10/2009 Fontainemore (AO). Educational in FVG.